The loss of a brother can either destroy you, or strengthen you. By the time the phone call came, it was too late. Going to Hawkes Bay from the city takes two hours and with traffic during the office hours it can take forever. For a change, the Karachi sky was overcast that day and looked bleak. Sometimes I wonder how my father made it through that long, never-ending drive, knowing but still hoping against hope for a miracle – that maybe he would find his son alive. On Siblings Day, we pay tribute to all those who have lost a brother or sister early in life. The struggle of coming to terms with it, accepting it, and dealing with such a tragedy is hard. We hope these people help to inspire those who are grieving the loss of a loved one, coming to terms with it, and eventually, hoping to celebrate their lives. Every so often during the summer holidays, I would see a small news in the corner of the newspaper about someone drowning but never really paid attention to it – until the day we were drowned by our own loss and realized the importance of that small news box in the corner. 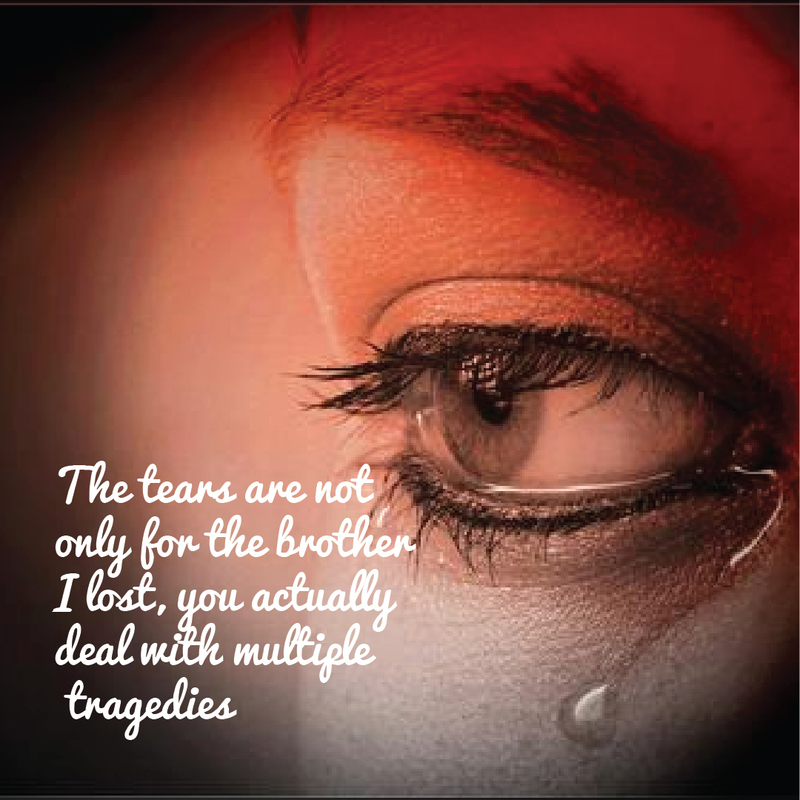 While many people think the tears are for the brother that I lost, the reality is that you actually deal with multiple tragedies; the tragedy of losing a sibling is combined with the agony of seeing your parents go through immense pain. It’s their anguish that just tears you apart, that makes you wish there was some way of blocking all the thoughts in your mind so that you have no memory at all. When nature’s process is reversed and the father buries his precious son, you can’t find any words in the dictionary to express the agony of it all. And you start to wonder if this pain will ever go away? Does the saying that time is a healer, actually hold true? There are no simple answers like yes or no. Somehow you learn to go on living, the pain also eases and there will be days when you won’t even think about your dear one lost. But then every time you will cut a birthday cake, hear his favorite song or go for a family dinner, that empty chair will make the memories rush back. When you laugh out loud, the moisture at the back of your eyes is the sorrow that has stayed hidden in your heart all these years. I couldn’t make it in time for the ‘Janaza’ (the burial). I remember getting there and my mother hugging me tightly without any tears, as my father sat with all of us, explaining how he found his body. It still amazes me and I cannot comprehend how he got the courage to make it there and back. He was only 24 years old and had just one day earlier, received his acceptance letter to start a new, exciting job. Going to the beach for a day of fun and joy with some friends before taking on the serious responsibilities of life was meant to be a fun celebration. But he had slipped, while trying to see if he could help the fisherman’s child screaming for help in the water. One cannot understand the implication of the term “Third world country” till you realize that the nearest fire brigade emergency rescue team cannot reach you as they are not equipped to climb down the steep height. His body was found after 24 hours of an intense search and rescue operation, by the army unit posted nearby. They say he looked like he was sleeping. I never saw him, but I am glad my parents at least had the chance to see him before returning him to God. So you must be wondering what happens after? How does one cope? Well you can either stay depressed and let everything in your life go downhill or you can try to move on by making the decision that the life lost will not be in vain, because your loved one will definitely not want to see you suffer. Initially it will be very difficult; you will not feel like talking to anyone or going anywhere but it’s important not to give in to those feelings completely. The thoughts of why and what if will consume your whole thought process. But slowly you will find that one thing that can bring peace to you; it can be the continuation of an activity that your loved one was involved in or it can be reaching out to people who really need your help and support. Or just the realization that the people around you still need you and you can’t afford to lose them. In the aftermath of our loss, my father has found his peace in helping and guiding the youth in his immediate community. 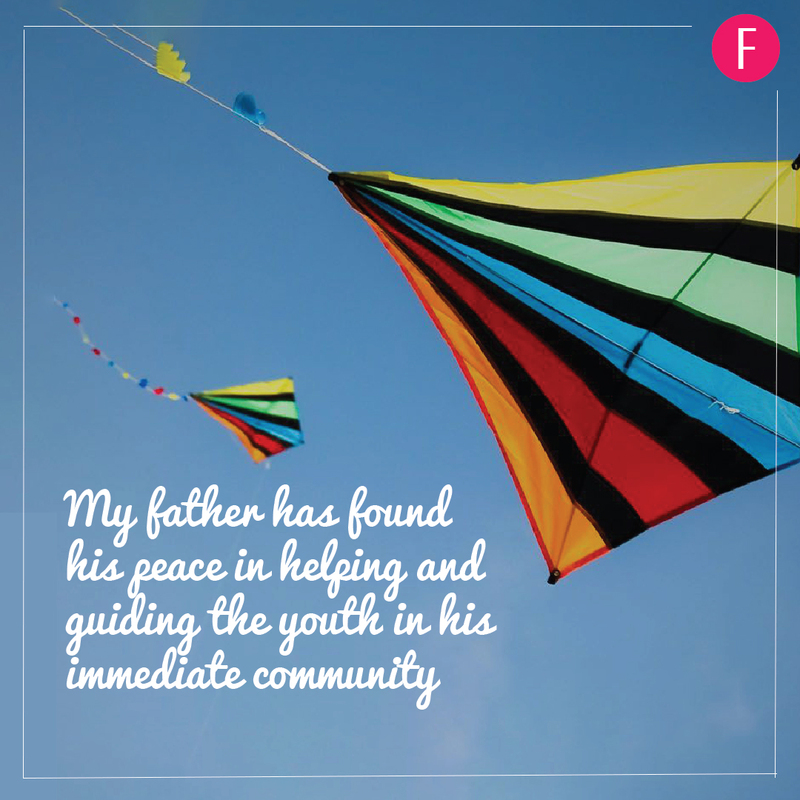 He has become a positive influence on the kids and teenagers, when their parents are not able to connect to them. My mother, well I honestly have no words to describe her courage and spirit. She held us all together, especially my father, when we didn’t know how to cope or move forward. She is the source of all my strength and has passed her courage that pushes me to go on in life no matter what comes our way. An untimely loss of a loved one teaches you the value of life and increases your sensitivity towards the small things in life. It can also create a drive in you to change things around you, no matter how small they are. It all boils down to your outlook on life. In fact if you look at many famous people or hear success stories of people involved in charity work, they are of people who have lost some one or had some tragedy which led them to this path. The change can even be your attitude or appreciation towards your own family which might be missing initially. The loss can never be replaced but it leaves an incredible imprint on you. It will make you realize that you cannot afford to delve in petty things and that relationships are much bigger than egos because later on there will be only regrets. It will teach you to value your family, who a lot of times we take for granted .The phone call that I used to make maybe once in 15 days to my mother is now almost on a daily basis. No one is going to live forever, we all have to leave this world at some point in time, but till we are here, what we can do is to make a difference. The pain is always there but soon you will learn to talk about him or her and even reminisce at the funny things you used to do together. 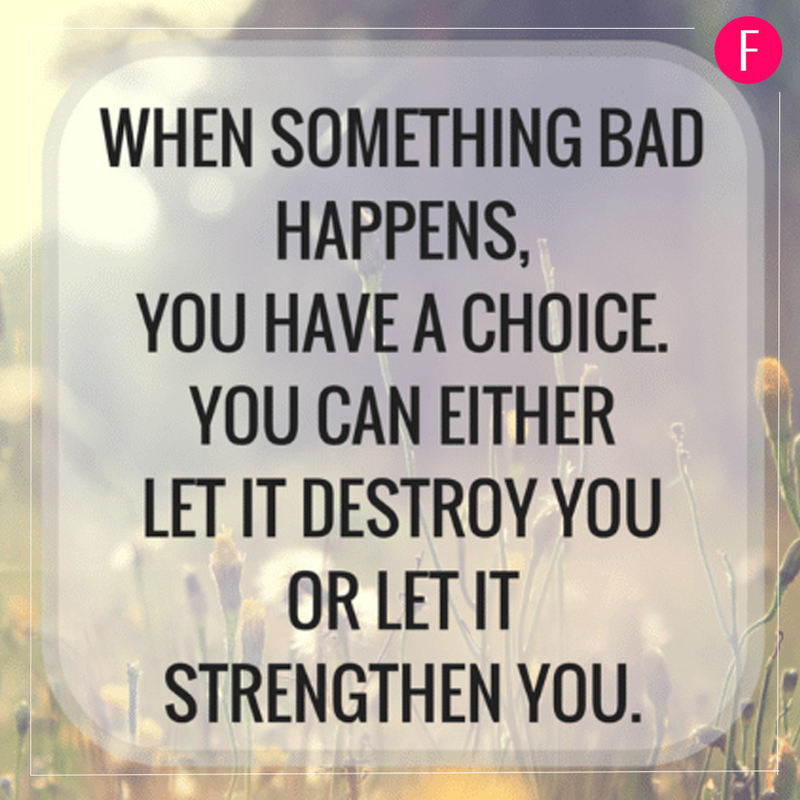 You learn to stay strong when faced with all other problems or tests that life throws at you, as you know that nothing can beat the loss that you have already suffered. So before you cry or feel sad about something that you think you do not deserve; maybe a lost promotion, a lost chance to make that deal, a fight with your husband, problems with your kids or anything big or small – do take a minute to just think how would you feel if you had to face the loss of your child or a sibling as believe me, that is the toughest test God can put you through. So now I start my day with a tight hug and kiss to my little angels and pray to God for their long, healthy and successful life.